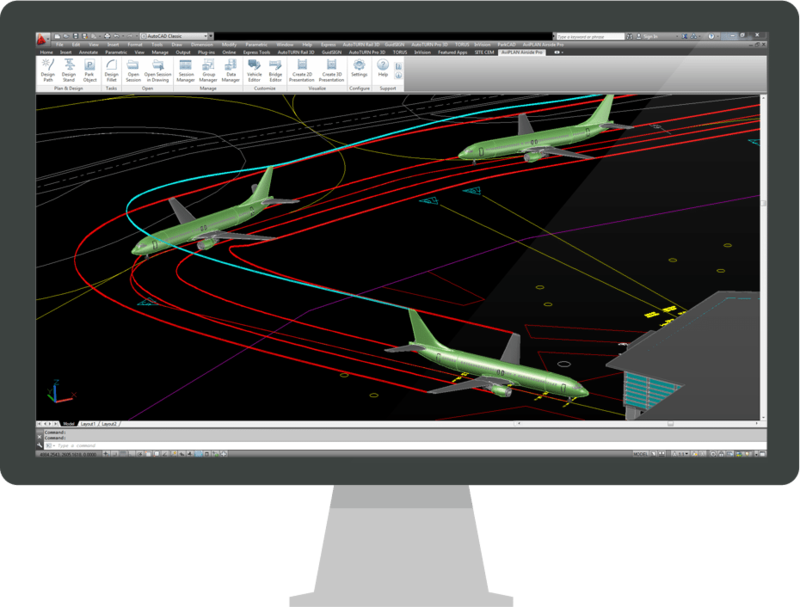 Working with an extensive library of 2D and 3D passenger, cargo and military aircraft and ground support vehicles – engineers, architects, planners and designers can easily assess aircraft space requirements, jet blast impacts, taxiway traffic, fillet designs and more with AviPLAN Turn Pro. Together with features to produce sophisticated presentations and generate top-level reports, AviPLAN Turn Pro is the ultimate aircraft turn simulation software. AviPLAN Turn Pro incorporates advanced design tools and intuitive graphical interfaces, allowing users of all experience levels to generate and visualize aircraft maneuver simulations with ease.